2018 has been a cruel one, personally spoken. We lost someone to the extreme heat we had during the very long summer. The old heat record is history. And we got to know the evil face of a long-lasting drought and that we cannot take everything for granted. Keep reading to see what else happened or is planned in 2019. My wrap-up post for the New Release Challenge in 2018 hosted at (un)ConventionalBookworms will give you a bit of an insight in my goal and if I reached it or even went beyond it. 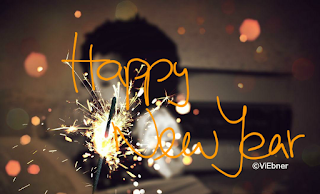 My goal this time was to become a New Release Newbie and maybe gain the next level as long as the year is still going on. To be clear. I only counted and used the reviews I posted here on my blog for this challenge. I did it the past years and see no reason why I should change that. Though Lexxie is giving us the possibility to use our Goodreads account, too. I never thought that I would read another Holly Black book. Not after my reading experience with a title I had read and disliked in 2017. But this one? Holy smokes! Forget about fairy being nice. 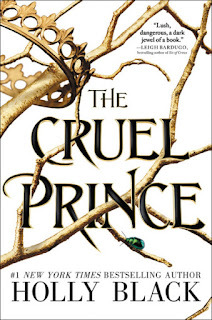 In this book they are cruel, full of hatred, they lust for punishment, the fear of others and rather kill each other than see the crown on someone else´s head. Jude was seven when her parents were murdered, and she and her two sisters were stolen away to live in the treacherous High Court of the Faerie. 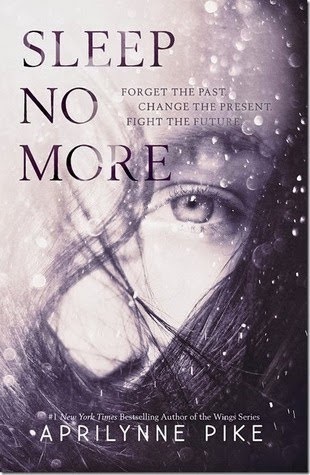 Ten years later, Jude wants nothing more than to belong there, despite her mortality. But many of the fey despise humans. Especially Prince Cardan, the youngest and wickedest son of the High King. 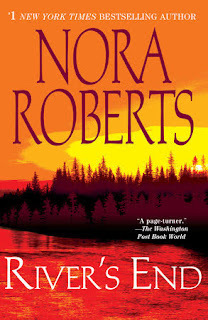 To win a place at the Court, she must defy him – and face the consequences. As Jude becomes more deeply embroiled in palace intrigues and deceptions, she discovers her own capacity for trickery and bloodshed. But as betrayal threatens to drown the Courts of Faerie in violence, Jude will need to risk her life in a dangerous alliance to save her sisters, and Faerie itself. Why haven´t I read this any sooner? 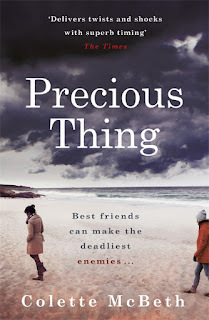 Can you believe it – it was on my TBR since early January 2018, but it took me almost a year, A YEAR, to read it! 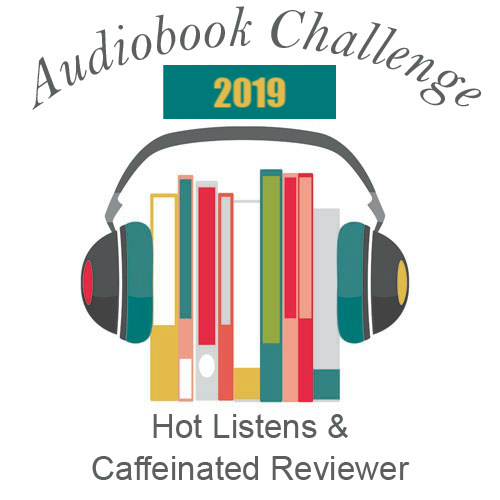 The audiobook challenge is hosted by Kimberly at Caffeinated Reviewer and Hot Listens. This time it will be the 7th year in a row that they are doing the challenge. 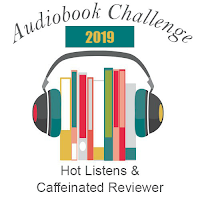 And since I can use titles, I haven´t heard yet, but on my audiobook TBR for what feels like ages now, I thought why not join in and see how far I´ll come? Me and audiobooks, well, that´s a story that IS actually NO story. Or better said, it is an on/off kinda thing that I have going on for years now. The cover caught my attention first. The cold blue, the plants, the water bubbles I couldn´t imagine what they had to do with the thriller content. And the summary sounded very haunting. Remember the person you sat next to on your first day at school? Still your best friend? Or disappeared from your life for good? Some friendships fizzle out. Rachel and Clara promised theirs would last forever. They met when Rachel was the new girl in class and Clara was the friend everyone wanted. Now in their late twenties, Rachel has everything while Clara´s life is spiraling further out of control. Then Clara vanishes. Imagine discovering something about your oldest friend that forces you to question everything you´ve shared together. The truth is always there. But only if you choose to see it. Despite the fact, that the author was new to me, I was going into this read with curiosity, and no expectations at all. Since a few months, I have my own copy of this novel and am very happy about it. I read it years ago, but its plot is timeless and though you can tell that it was written in the ´90s it is still a wonderful read. The cover of the German edition, a beautiful picture showing a blue sky, some clouds, trees, and a river caught my eyes years ago. The Christmas holidays are the perfect time to gather the family, enjoy the cookies we made over the past few weeks and eat special food like a dug, or other things we like to cook and enjoy over the holidays. Decorating the Christmas tree is one of our beloved traditions along with wrapping up little sweets in silk paper which find their place in the decorated Christmas tree. For most of us, those days mean being together with our loved ones, thinking of those we lost and enjoying new arrivals. Okay, this time the original cover looks way better and secretive than its counterpart. Nonetheless, I got curious while reading the blurb and asked the publisher for it. Charlotte Westing has a gift. She is an Oracle and has the ability to tell the future. But it doesn´t do her much good. Instead of using their miraculous power, modern-day Oracles are told to fight their visions – to refrain from interfering. And Charlotte knows the price of breaking the rules. She sees it every day in her wheelchair-bound mother and the absence of her father. But when a premonition of a classmate´s death is too strong for her to ignore, Charlotte is forced to make an impossible decision: continue following the rules or risk everything – even her sanity – to stop the serial killer who is stalking her town. And what a great read it was! Holy smokes. 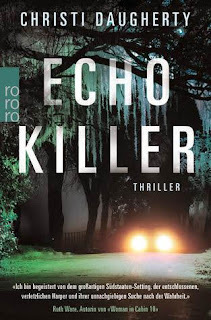 The mixture of paranormal fantasy, thriller, and mystery gave me the chills – but in a good way. 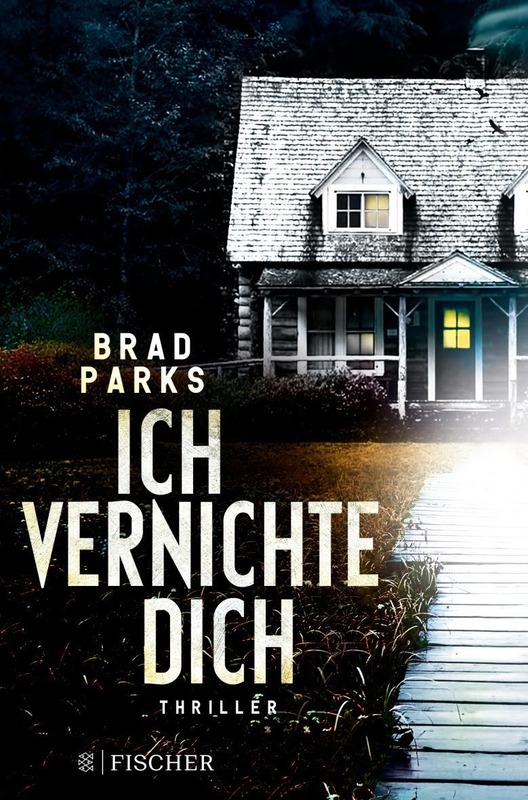 The cover design of the German edition was giving me the chills already just by looking at it. So, no question, I had to have and read it. You can see the cover at the end of my review. 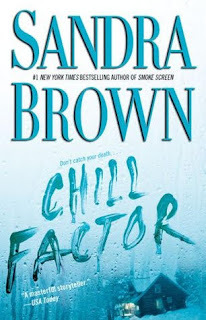 I don´t know exactly when I became a fan of the author, but with her style being different from those other thriller authors have (each of them is great in their own way) she has been a guarantor for great stories over the years. For whatever reason, I am not reading this series in its chronological order. Usually, not my style, but this fantastic crime novel was absolutely worth it breaking with my habits. 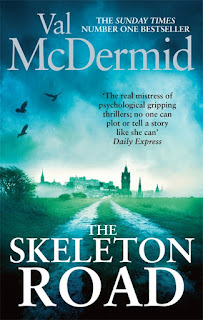 The fascination Val McDermid brings with her writing style and her crime novels are fascinating. At first, I wasn´t sure what to think of this thriller. The book is different from her other books I know so far, which means mainly her Night School books, and yet the style is undoubtedly C. J. Daugherty. Good, it takes you some pages to get into everything the author provides you. No matter if it is the main figure itself, the plot or the story. 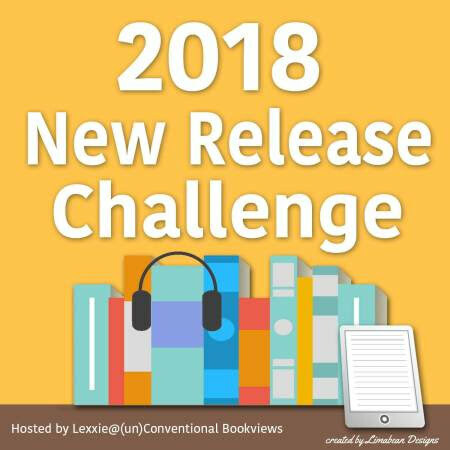 This reading challenge is focused on knocking off titles that have been on your TBR for a while. The Backlist Reader Challenge (#BacklistReader) wants to encourage you to read all those older books that you have been stacking up for a long time. No matter if you already own them or simply have them on your to-read list. Every older book counts. Even the ones you are hoarding since years. The challenge is hosted by The Bookwyrm´s Hoard. I don´t know how long I am now having my library card, over ten years I guess, but one thing I do know: I am there as often as I can. The library was part of my life since my early childhood. Gosh, when I think of the years where everything was noticed on paper and the old Lady (don´t remember her name anymore) was sitting behind her desk and I was standing there with a huge pile of books to return or borrow new. Fond memories, that´s for sure. 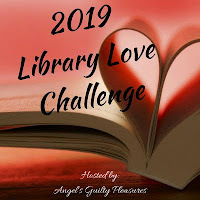 This challenge was brought to my attention by another blogger I know from Goodreads and is hosted by Angela at Angel´s Guilty Pleasures. It started so well and I was close to the thought that the fun was back with this series. Well, well, what you think and what you get are two different things sometimes. I sort this novel as the publisher does it. 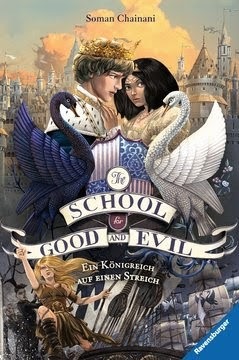 This is the fourth installment of the School for Good and Evil series. Don´t ask me why I wanted this thriller. 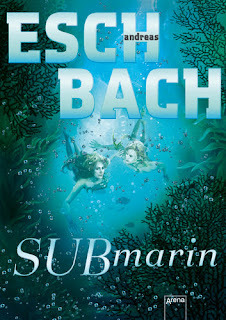 The author is completely new to me, and the cover, as fitting as it is for the story, didn´t speak to me at all. Guess it was the summary which sounded very intriguing, that made me ask for it. Good, it wasn´t as nerve-wracking as I was told it would be. And the story didn´t get me from the start, but then …. It is kind of fun. 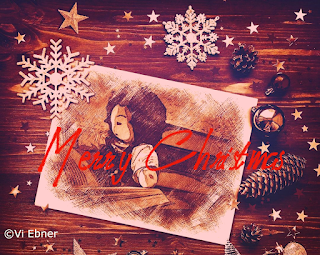 I haven´t even wrapped-up the ongoing challenge as the year still has some weeks left and some new releases are still waiting for me to be read. But I am already signing- up for this challenge and hope that it´ll be as much fun to do as it has been the last three years. 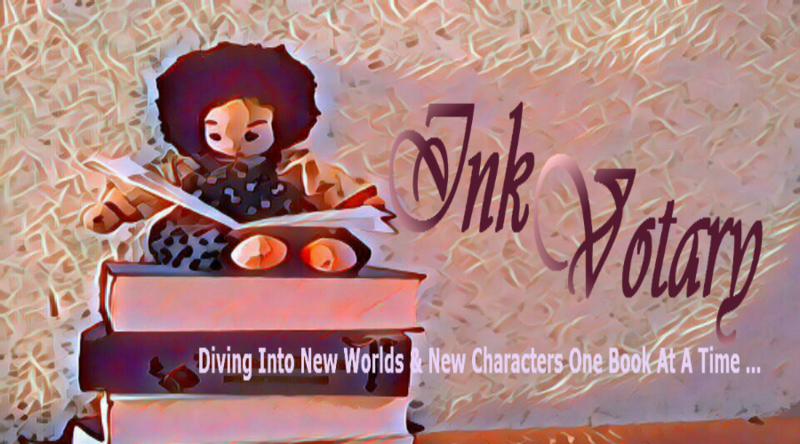 The challenge will be hosted by Lexxie & Brandee at (un)Conventional Bookworms. 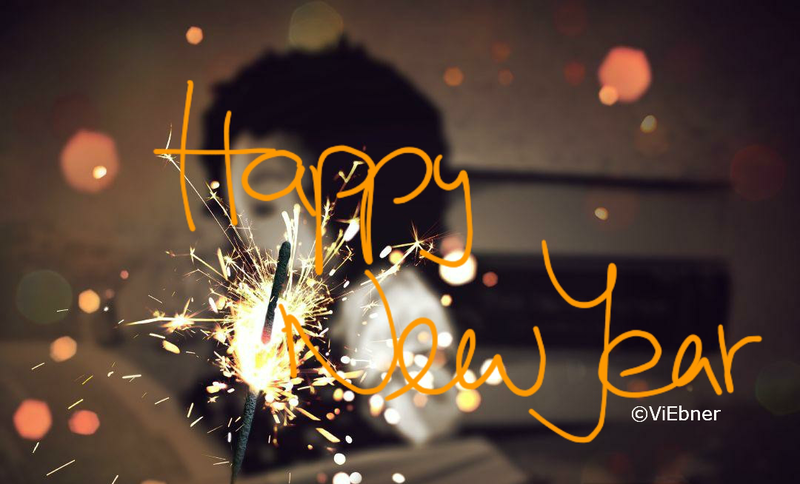 I am planning on reading books like I do every year so the next year won´t be any different when it comes to me, books and reading. The only difference might be, that I probably won´t be reading as many new releases as I have during the past years. The vampire world the author has created is one you can´t forget once started. And the design of the German editions was what made me want to read her books. Over the years I dug deep into the world of Cat and her - more or less friends - and discovered a fascinating beauty when it comes to the Cat and Bones universe. Chicago private investigator Kira Graceling should have just kept on walking. But her sense of duty refused to let her ignore the moans of pain coming from inside a warehouse just before dawn. Suddenly she finds herself in a world she´s only imagined in her worst nightmares. At the center is Mencheres, a breathtaking Master vampire who thought he´d seen it all. Then Kira appears, this fearless beautiful … human who braved death to rescue him. Though he burns for her, keeping Kira in his world means risking her life. Yet sending her away is unthinkable. But with danger closing in, Mencheres must choose either the woman he craves, or embracing the darkest magic to defeat an enemy bent on his eternal destruction. I might not agree with some of the things that happen in this novel, but the writing style and language the author uses give you a wonderful reading pleasure. After reading the first book, Aquamarin, I had to read this too. The cover is similar to the first one and fits in perfectly. 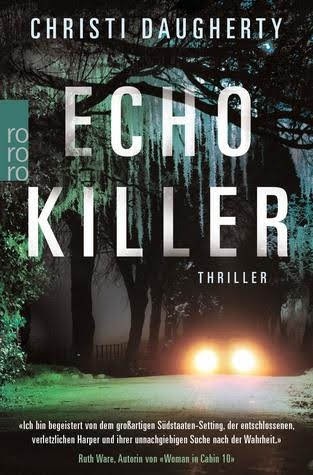 And for all those, who don´t know the author´s name yet, Andreas Eschbach is a German writer, who is also responsible for the great Out-Trilogy. Among other wonderful novels. Almost two years ago I had read the first book and was thrilled. There was action, a struggling main figure and a secret that gave the story the special something. This reading challenge was focused on knocking off titles that have been on my TBR for a while, or even ones that got pushed aside for new releases.